Farce the Music: When Did We Get So Old? "Who is Alan Jackson lol"
Who is Alan Jackson? If you've heard a song by Migos, Nicki Minaj, Drake, 50 Cent, etc., you've heard an Alan Jackson song? Why, you ask? 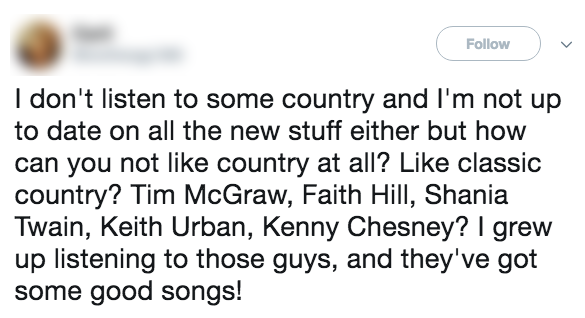 Well, for starters, Alan Jackson, the man who destroyed country, is notorious for covering several rap songs at his concerts, namely Akon’s “Don’t Matter”, Wiz Khalifa’s “We Dem Boyz”, Shaquille O Neal's “(I Know I Got) Skillz”, Lil Wayne's "Love Me", Future's "Mask Off", and Big Sean's "Dance (A$$)". Even worse, he further damaged the integrity of the genre by leading it to become the laughing stock that it is today by dumbing it down (i.e., that stupid 9/11-exploiting song where he said he can’t tell the difference between Iraq and Iran) and living up to country stereotypes like in those stupid, meaningless excuses for songs like “Where I Come From”, “Jim and Jack and Hank”, “Country Boy”, and “It’s Alright to be a Redneck”. There is nothing about this poser Alan Jackson that is “real country”. He is even more of a disgrace to real country than Bebe Rexha, FGL, Luke Bryan, Sam Hunt, Walker and Hunter Hayes, Kane Brown, Chase Rice, and Thomas Rhett. The only useful purpose Alan Jackson’s “music” serves is as a government torture device. His music should be played throughout interrogation rooms throughout the country. 10 minutes in and I believe every sin a man has made would be laid out on the table.